Coppersea are a new’ish New York craft distillery. In the world of American spirits very few phrases evoke the kind of terror that “craft distillery” does. 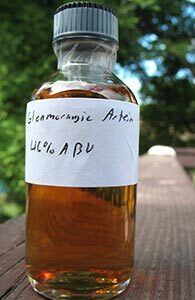 Despite what their websites say, many craft distilleries seem to stand for unpleasant, undrinkable spirits you pay vastly inflated prices for while the well-meaning, young people with beards who run them figure out how to make whisky or whatever with some production twist that is meant to intrigue as well. 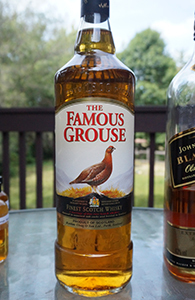 I’ve reviewed the Black Grouse but not the member of the family that makes all the money: the original Famous Grouse. Until now. Koval is a small distillery in Illinois who’ve released a number of whiskeys made from 100% mashbills of various kinds of grains (there’s also oat and millet) as well as a bourbon which has millet in place of the usual rye and barley complement, and a four grain whiskey from oat, wheat, rye and malted barley. They currently also have an aged 100% rye and a 100% white rye but this Dark Rye (I don’t know what “dark rye” is) doesn’t seem to be part of their current/continuing lineup. So, clearly they’re doing interesting stuff—but is it any good? It’s not just the Dark Rye that’s gone, by the way. 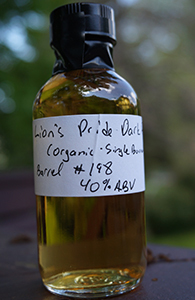 Their current releases don’t sport the “Lion’s Pride” moniker either. I believe the early releases were all dubbed Lion’s Pride for the owners’ son who is apparently named Lion. 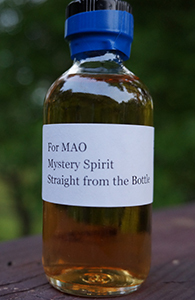 The run of reviews of peated whiskies will pause for one day as I post a blind review of this “Mystery Spirit”. This is a sample of unknown origin sent to both Michael Kravitz of Diving for Pearls and to me by the famous Romanian actor, Florin. As the name indicates, it may not even be whisky. Michael and I are publishing our notes on it simultaneously (I’ll post the link to his review once I have it). Once our notes are up Florin will tell us what it is/was. Hopefully, it’s not his urine. (Actually, I think Michael sent Florin his notes yesterday and found out what it is–as our reviews are being published simultaneously I won’t know what it is till after this goes up). 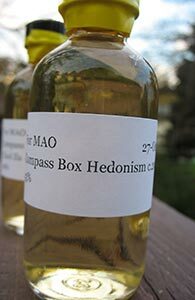 Following yesterday’s review of the Eleuthera, one of Compass Box’s vatted malts, here is the Hedonism, which may be the only all-grain blend they’ve released (at least in general release). 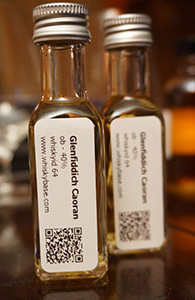 I’ve not had too many Scotch grain whiskies, and those only much older single grains, which is a category that seems to be picking up steam among whisky geeks these days. The Hedonism also has old whisky in it and as per their site it’s all from 100% first-fill American oak barrels and/or rejuvenated American oak hogsheads. As they specify barrels and hogsheads this would imply that they’re ex-bourbon (sherry is also matured in American oak casks–European oak is used primarily during storage and shipping*–but in much larger butts or puncheons).